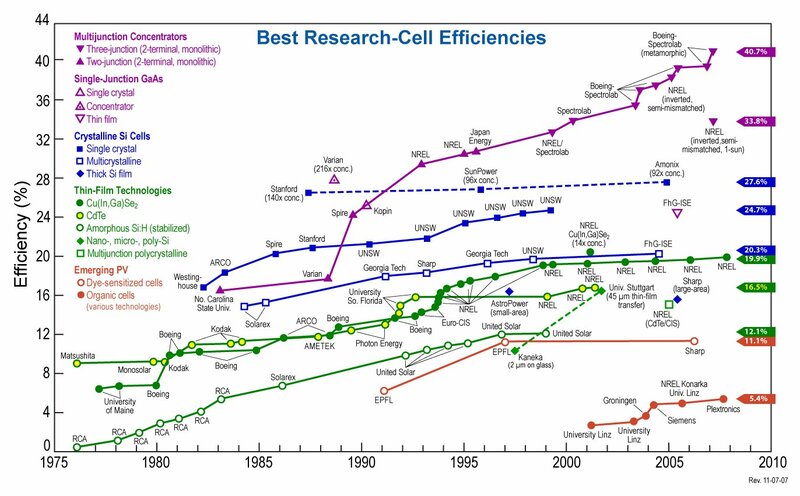 Just a simple question: how efficient are today's solar cells? The answer to this question depends on several factors. 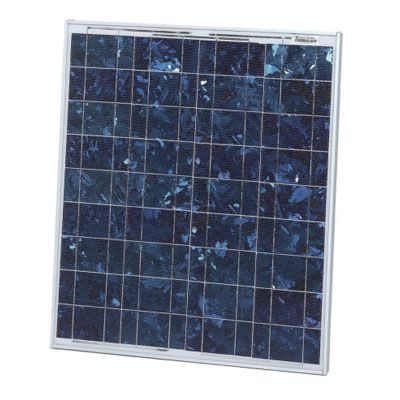 High efficiency depends on a solar cell that can generate more electricity per incident solar power unit. Basically the solar cell's ability to produce more electricity in a given area. Theoretically speaking, to say that a solar cell has 100% efficiency means that the solar cell converts all of the sunlight it receives into electricity. 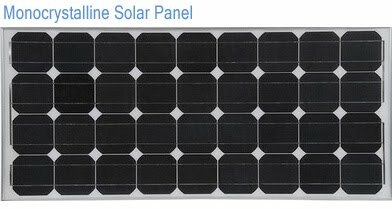 Major solar panel manufacturers like Sharp, Q-Cell, First Solar, Kyocera Solar concentrate on improving the efficiency even by 1%. The more efficient, the more money that can be made. The chart below shows the most efficient solar cells that has been developed and tested. 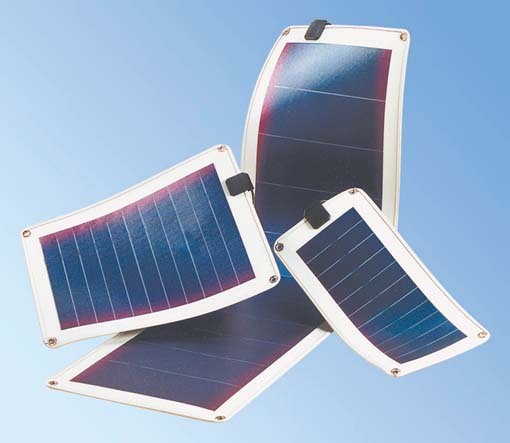 Some of the high efficient solar cells have not been mass produced yet. As you can see from the above graph, the most efficient that we have gotten is about 40%. This is the absolute best that is available today. Even though it may look like it is very inefficient, it is much better than today's commercially available solar panels, which are about 15% - 22% depending on the manufacturer. These efficiencies were measured The efficiency should be measured under real conditions and the basic parameters that need to be evaluated are the short circuit current, open circuit voltage. Just for a comparison your car runs at about 30% efficiency at best! Fun Fact: According to Encyclopedia Britannica the first genuine solar cell was built around 1883 by Charles Fritts, who used junctions formed by coating selenium (a semiconductor) with an extremely thin layer of gold. Great post. I've found it really useful. Thanks a lot. There is a chance you are qualified for a government sponsored new solar energy rebate program.